If you ever gave a talk or presentation that involved demonstrating software running on a wireless device, you probably remember some restlessness, approaching the venue. What would the Wifi conditions be? Would you be able to connect your device(s) to the Wifi network? Would the bandwidth be sufficient, to support a smooth demo? etc. etc. I recently came across a nifty and tiny Wifi Router that is not only fast enough, but can be powered with a standard 5V phone charger, using a standard Micro-USB Cable – or even better, leeching power off a standard USB-Port (e.g., one of the MacBook’s USB-Ports). 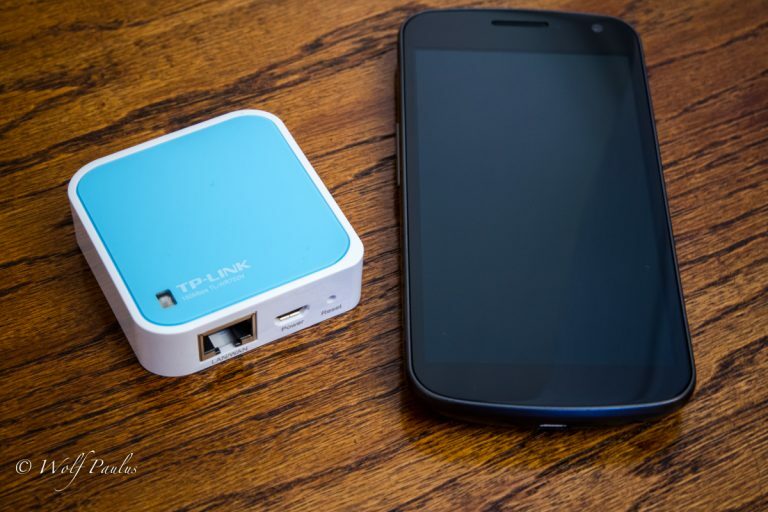 The TP-Link TL-WR702N uses the Atheros AR9331 chipset and is equipped with 2MB Flash memory and 16MB RAM, which unfortunately is not quite enough to replace the stock OS with an open-source Linux distribution for embedded devices, like OpenWrt or DD-WRT. However, the stock software already provides some capabilities, often missing in many full-size home-network routers. This is the WR702N’s default mode. 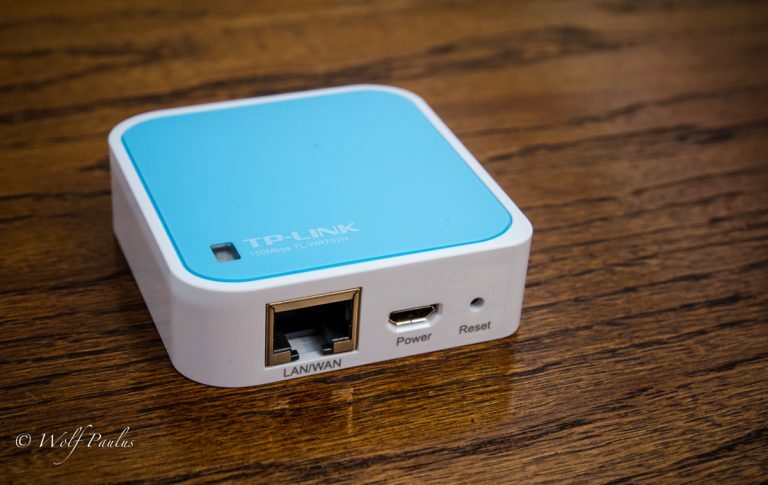 The nano router supplements a wired LAN (to which it connects, using an Ethernet cable) and enables its wireless clients, to connect to that LAN wirelessly. The one and only wired port works as WAN Port, e.g. gets connected to a DSL/Cable Modem. The routers works as an DHCP server and wireless clients can obtain IP addresses and DNS automatically. The TL-WR702N is used to extend the range of an existing AP or wireless router. In this mode, the one and only wired port gets connected to a client laptop or PC via Ethernet cable. However, clients can also connect to the nano router wirelessly. The SSID of TL-WR702N should exactly match the SSID of the device you want to repeat. In Repeater Mode, the DHCP server defaults to off. Pretty much the same as the Repeater Mode, but the the nano router’s SSID does not match any other Wifi-Router’s SSID on your network. The TL-WR702N is basically used as a wireless network card. I.e. a computer connects via Ethernet cable to the nano router and the TL-WR702N is used to access a wireless network. At the relatively low price (US$19 to US$29 B&H, Newegg, Amazon, ..) the size, data transfer rate, and feature-set, this is an impressive device. After running it for one week without the need for a reset, it’s now part of my travel backpack ..